Welcome to this beautiful single-story home in the desirable Cambrian area. 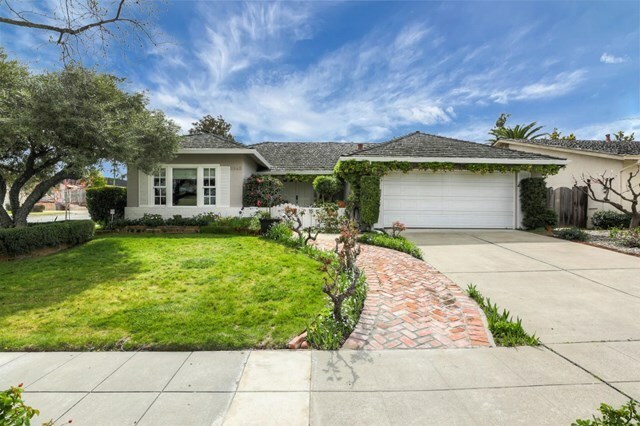 Located in a quiet cul-de-sac close to Los Gatos, this property features 1,873 sqft. of living space on a 7,412 sqft. corner lot. 3 BR/2.5 BA, w/the 3rd bedroom converted into an elegant & functional office space. The kitchen recently underwent a $40K remodel, including: custom cabinets, Quartz counter tops, Samsung SS appliances & dual pane windows. Other features include: new double entry door & French pocket doors to the formal dining room. Engineered hardwood in majority of living space, French doors in master bedroom & family room, Roman Shade window coverings, gas log fireplace, central AC w/Nest, tile flooring in bathrooms w/premium Toto toilets, copper plumbing througout, 1-year new water heater, leased water softener, cobblestone pavers & stone wall, 50-yr heavy shake roof & so much more that you must see to believe! This wonderful property is truly a gem & you'll be happy to call it your forever home.